Over recent years, the Bodhrán has changed and evolved faster than any other Irish Traditional Music instrument. 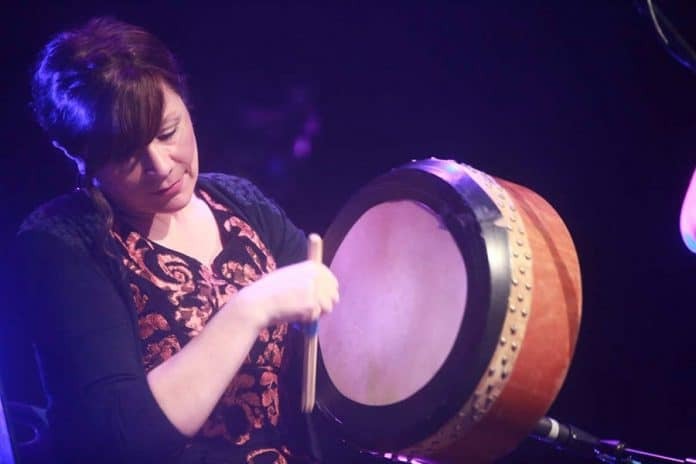 The word ‘Bodhrán’ derives from the old Gaelic ‘bodhar’, which translates as dull, numb or deaf. This humble frame drum is found in various forms all over the globe, and its origins are shrouded in a certain amount of mystery. Many experts point to the similarities to tambourines popular in southern continental Europe. So it could first have arrived in Ireland via popular trade routes, though there is no definite proof that this is the case. The very earliest reference to a drum of this type is found in a 15th-century medical transcript, in which the sound of a swollen stomach is compared to the sound of a bodhrán (drum). In pictures dating from around 1850 that portray the celebrated Irish portrait painter Maclise, an instrument from this genre is visible. Popularised by musicians such as Sean O’Riada, today the instrument is intrinsically connected with Irish Traditional Music. The first bodhráns produced a loud and rather unrefined sound and were of questionable quality. The basis of this type of drum is a wooden frame, and the playing surface is created by stretching an animal skin over this frame. In times past the bodhrán was played either with a stick or the hand, and some drums had jingles on the rim, like the modern-day tambourine. More recently, the sound has been refined by omitting the jingles, and greater tonal depth is achieved by players by dampening with their opposing hand. The shape, size and even the frame and the tuning mechanism of this Irish drum continue to evolve today, meaning that there are a huge number of variations to be seen. Over the past half century, the instrument has become far more mainstream, and players such as John Joe Kelly and Peadar Mercier have stunned contemporary audiences with their skill and musicality. In order to fully appreciate the bodhrán’s history, it is essential to place it into the wider context of Irish music generally. It is an instrument that has fallen in and out of popularity over the years, and it transitioned during the 1960s-70s from a ritual instrument to a mainstream musical one. Before the onset of the 1950s, the bodhrán was probably most associated with the traditions of St Stephen’s Day, when it was played as part of the ancient ‘Hunting of the Wren’ ritual. This ritual may itself be based on the way the ancient Celts marked midwinter. Wrens in Europe are noted for the unusual fact that they still sing even in the depths of winter, and some of the Celtic names for this bird – draouennig, dreathan, drean, dryw and so forth – are also indicative of a connection with the rituals carried out by the Druids. It is also thought that this particular tradition may have been partly shaped by the Scandinavians who arrived in Ireland over the course of the Viking incursions of the eighth, ninth and tenth centuries. Several legends portray the wren as a traitor who informed on the Irish soldiers to their Viking counterparts and who later betrayed the martyr St. Stephen himself. This mythical connection with treachery is one way of explaining why this particular bird was hunted on St. Stephen’s Day, and also potentially sheds light on why this sort of pagan sacrifice continued into Christian times, influencing Irish Traditional Music. Sean O Riada is widely regarded as the father of modern Bodhrán playing, and his influence saw the frame drum cropping up in more and more Irish Traditional Music bands. He became an Irish household name in the 1960s as the front man and bodhrán player in the popular band Ceoltóirí Chualann, who shared several band members with the rather more famous Chieftains. Peadar Mercier played the bodhrán for the Chieftains between 1966 and 1976, playing on albums two, three, four and five. Mel Mercier, his son, is also a very well-regarded player. 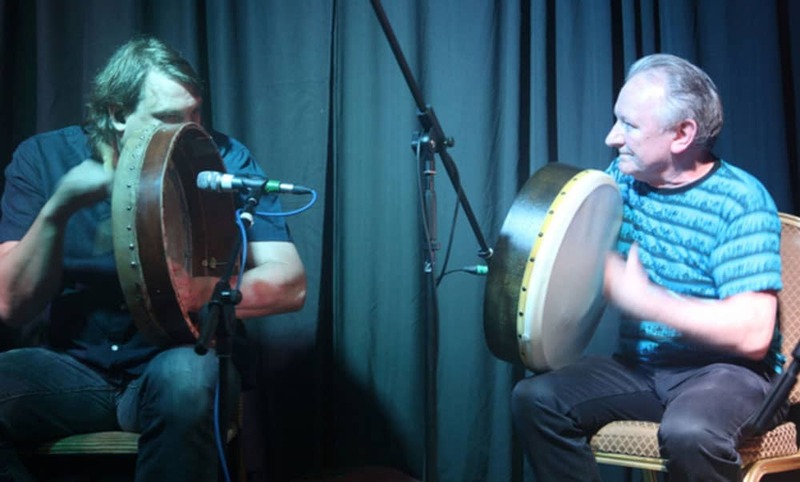 Alongside Sean O Riada, Johnny McDonagh is seen as a leading innovator on the Bodhrán, inventing as he did a number of new playing techniques, including playing on the rim of the frame drum and the backslide. He contributed widely to Irish music right across the board, playing in traditional bands such as De Dannann and also experimenting with contemporary sounds such as the work he created with Mike Oldfield. John Joe Kelly started playing the instrument when he was just seven years old, and his technique is astonishingly accomplished. He has truly mastered the art of manipulating the drumhead to extend the pitch, which he does while effortlessly pounding out successive series of supersonic doublets and triplets, demonstrating a true mastery of Irish Traditional Music.